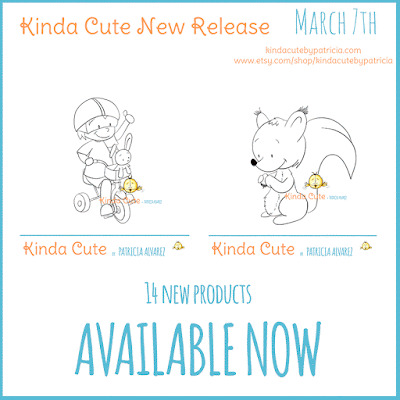 Kinda Cute Cards: I finally got the new release out! I finally got the new release out! I am happy to announce that I have a lot of new products in my shop. You can find the blog post in my store blog here. It has been a lot of work but there is so many more to come! I hope you have time to see the new release and that you like it. It is Kinda Cute ;).